When : Wed, 11/30 6-8PM Where: 324 East 81st St. Welcome womenswear fans to a SELECT event where the old becomes new again, and the opportunity exists for a bit of the fantastic. 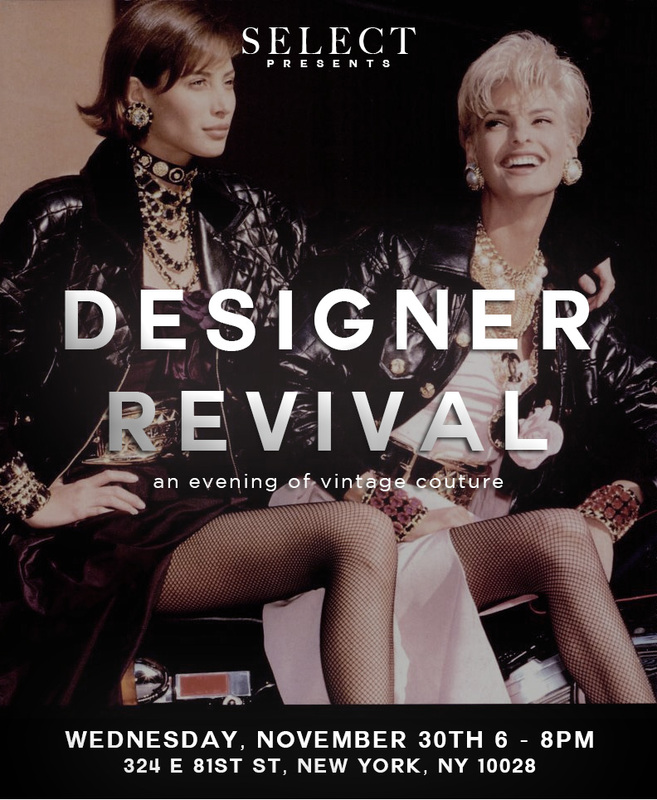 Join us on Wednesday November 30th, from 6-8pm, as we explore the hidden gems within New York's premier high-end designer consignment boutique, Designer Revival. Drop in anytime during the event and have a glass of wine as you peruse new and gently worn classics and one-off pieces from some of womenswear's hottest designers – and prepare to add some shine to your wardrobe. Over the course of the evening, Members will receive 10% off Hermes and Chanel pieces, and 20% off all other merchandise. This event is complimentary for Members and their guests.